You can immediately streamline your microbial contamination testing workflow, leverage your quality assurance level by avoiding risks of exogenous contamination and ensure compliance to all GMP/GLP requirements. In pharmaceutical, manufacturing processes, the compact Milliflex® PLUS vacuum pump streamlines filtration steps during testing to accelerate QC sampling Ready-to-use, sterile Milliflex® filter units combine a funnel and a gridded membrane filter in one device. No membrane handling during transfer minimizes the risk of exogenous contamination. Milliflex filter funnel units can be used in conjunction with either Milliflex® prefilled Agar Cassettes or ready to use liquid media ampoules. Designed to simplify your workflow, the MilliSnap® plug and play system is a hands-free method for separating your Milliflex funnel and transferring the membrane to the prefilled Milliflex cassettes. Our rinse fluids provide the highest level of purity and testing confidence and have been formulated and tested to meet the requirements of the United States, European and Japanese Pharmacopoeias. Every rinse solution is validated and packaged in convenient test volumes with aseptically designed screw caps with septum closure for ease of operation to meet all of your sterility and bioburden testing needs. 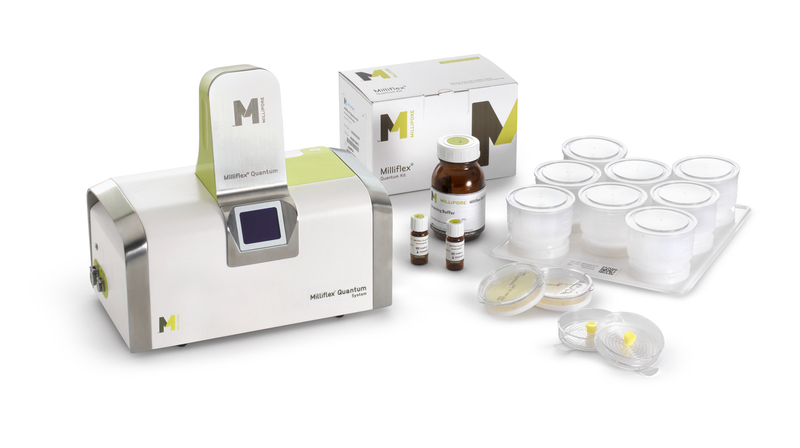 The Milliflex® Quantum system is a rapid fluorescent-based technology designed for fast quantitative detection of microorganisms over a broad range of filterable matrices. The non-destructive method also allows you to identify any microorganisms detected during the initial fluorescent count, using your current ID methodology. 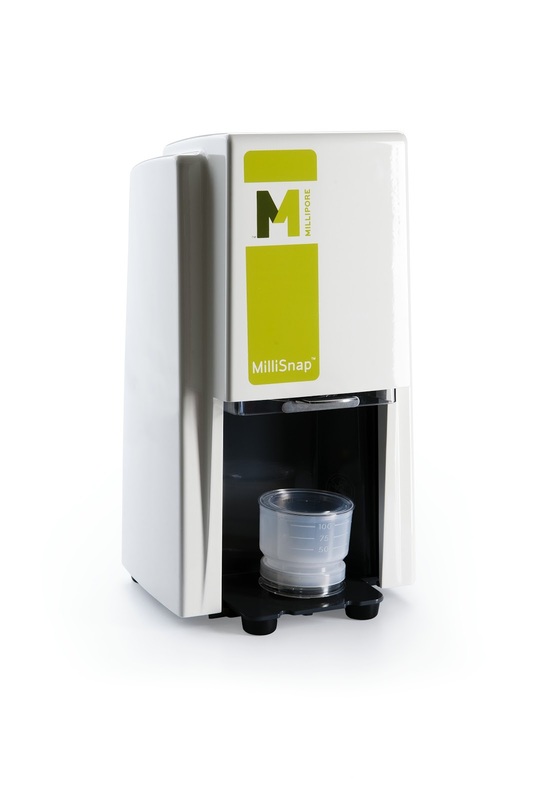 The Milliflex® Rapid Microbiology Detection and Enumeration system is an automated solution for the rapid detection, response, and resolution of microbial contamination in filterable samples throughout the manufacturing process. Merck Millipore offers a complete range of services for our Milliflex platform. Our experts can develop for you a microbiological test method compliant with current regulations. We can also help reduce the time and cost to validate your water testing methodologies. 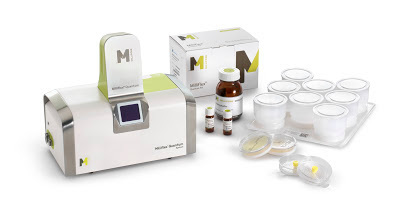 Merck Millipore provides validation protocols and expendables needed for validation as well as rental equipment (rentals in Europe only). We write our comprehensive, ready-to-use Installation Qualification (IQ), Operational Qualification (OQ), and Performance Qualification (PQ) protocols to the same standards as protocols used to validate pharmaceutical processes. If you need additional support, our experts can perform on-site validation ensuring all test criteria lead to a completely qualified and accurate test method. Maintenance agreements are available to ensure the optimal performance and longevity of your system. Click here to ask for a FREE process audit of your microbial detection workflow!